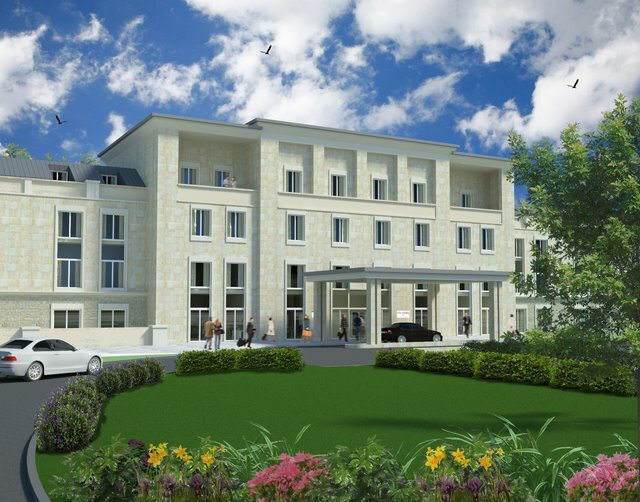 York based Skelwith Leisure is developing the 300-room hotel and leisure development on the existing 27-hole Flaxby Park Golf course and it will be one of the biggest hotels in the North of England when completed in 2015. Skelwith Leisure has announced that work will begin on the £100 million Flaxby Country Resort, located between York and Harrogate in North Yorkshire, on 28 May 2013 following the signing of the planning and legal agreements with Harrogate Borough Council and North Yorkshire County Council. All legal documents were signed in February and since then intensive discussions have taken place with North Yorkshire County Council to enable a start on site and minimise disruption on the road network. The development will also feature a luxury spa and gym, restaurants and bars and boutiques, totaling over 240,000 sq ft in size. It has been a long journey to be able to start work on this ambitious project but I am delighted now to be able to finally get cracking. We have been working hard for the last three years with Harrogate Council, North Yorkshire Council, the Highways Agency and various other parties to get to this position. It is a large and complex development and one which we feel will offer many benefits to the whole area. When opened, it will be one of the premier destinations in the North of England and will employ over 300 people. In the last three years we have successfully developed and opened Raithwaite Hall Country Retreat near Whitby and we have learned many lessons from that project that we will utilise for the Flaxby project. Leeds based K Rouse will be the main contractor for the first phase, including a new roundabout on the A59 and ground works for the hotel. This is clearly a major project for the area and we delighted to deliver the infrastructure works. We will continue to work closely North Yorkshire and Harrogate Council’s to minimise any disruption during these works. The world’s leading golf course management Company, Troon Golf, has been involved in the project for the past three years and will step up its role managing the course help to attract major events to Flaxby following the start on site. The Flaxby project is very exciting and I am looking forward to see the Resort transformed over the next two years into a full service Hotel, Spa and Golf Club. We have some fantastic ideas for golf course developments which will build on the good work and investment that has been on-going since our involvement started in 2010. The setting, course and layout of all 27 holes means that we can be very ambitious in our plans to improve the courses and attract high profile events over the coming years. Carter Jonas acted as planning consultants throughout the project.